Joey Dills has an outsize personality, a big frame and a larger-than-life reputation that included prodigious tee shots, home runs sailing out of ballparks and hard-partying ways that cut short a brief PGA Tour career. Yet for those who watched the early Dills, what they appreciate most was not his power but his touch. Veteran golfers say they’ve never seen a better bunker player than Dills at his best. Holmes remembers Dills intentionally hitting into bunkers in a round with a hustler who had come up from Texas to play in a match at Southern Hills. One of the side bets was $100 that Dills would get up-and-down anytime he hit in a bunker. After three holes in which Dills intentionally hit in bunkers, and down $300, the hustler caved and begged out of the bet. 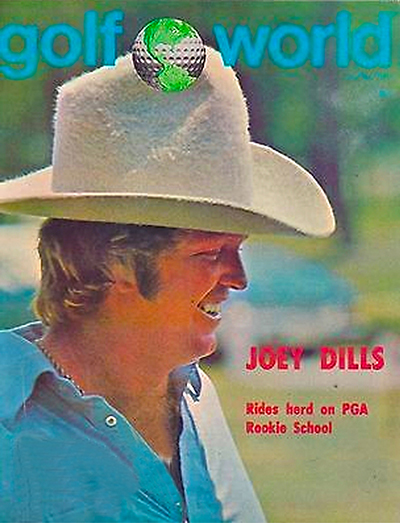 Joey graces the cover of Golf World circa June, 1975. Dills got into a bunker contest with Chi Chi Rodriguez at the Southern Open, betting $20 a shot while a crowd egged on both players. Dills doesn’t remember exactly how much he won, only that Rodriguez conceded in frustration and paid a sum that helped a young pro make it to the next event. The secret may have been that Dills’ house in high school was across the street from the 16th hole at Muskogee Country Club. His stepfather, Bill Dills, encouraged him to go practice and Dills favored bunker shots as they were easier to go pick up afterward. Hitting for distance was the result of a large powerful frame combined with excellent hand-eye coordination. 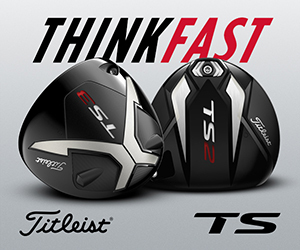 By age 13, Dills was overwhelming courses and his competitors with his distance and accuracy. On the baseball field, he was bashing home runs and tossing shutouts with regularity. More impressive and what had folks whispering that Dills could be the next coming of Jack Nicklaus, was the touch, developed by lonely hours practicing in that 16th-hole bunker. That touch got him out of a lot of jams, somewhat reflective of how he lived his early life. Dills recovered from an early failed marriage and alcoholism to lead a sober life as a highly-successful businessman in the insurance field. His 1992 second marriage to the former Sheila Luginbuel, his match on the golf course and now a newly-elected State Representative for District 69, has been wonderful, producing daughter Annie, 24, and years of successful business, civic involvement, hunting and fishing trips and family joy. Overcoming alcoholism was one major hurdle cleared. The second, his 2006 diagnosis of prostate cancer, has led to a nearly 12-year battle that Dills knows he is destined to lose, perhaps soon. Yet Dills has been inspirational in the way he has taken on both demons. “The thing about his life that is so amazing is how many people he’s helped along the way,” Sheila said, recounting many late-night phone calls from complete strangers who needed a helping hand, renewed faith or an intervention for a loved one. Dills left his bed to help a father get his drug dependent daughter off the street and into a safe place. 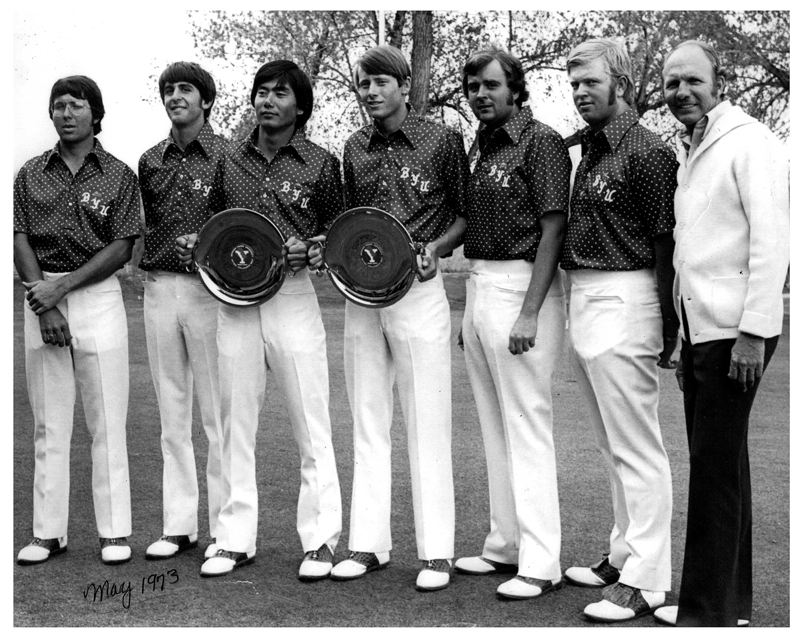 1973 Brigham Young golf team left to right; Stan Souza, Jay Matulich, Lance Suzuki, Mike Reid, Mike Reasor, Joey Dills and Coach Karl Tucker. Thanks to aggressive treatments, mainly at the Mayo Clinic, Dills has been able to keep the cancer at bay and enjoy extended periods of remission. 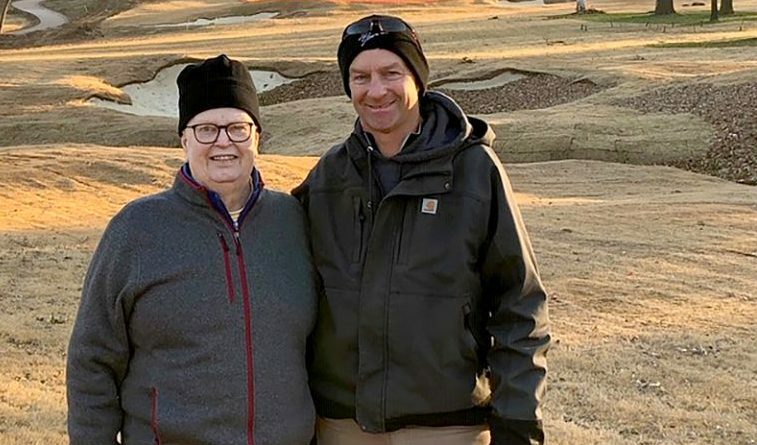 He has recently been receiving chemotherapy and one of his great hopes now is to see the completion of the ongoing restoration by architect Gil Hanse of his beloved Southern Hills Country Club, where he has been a member since 1975. Dills at Brigham Young, 1973. 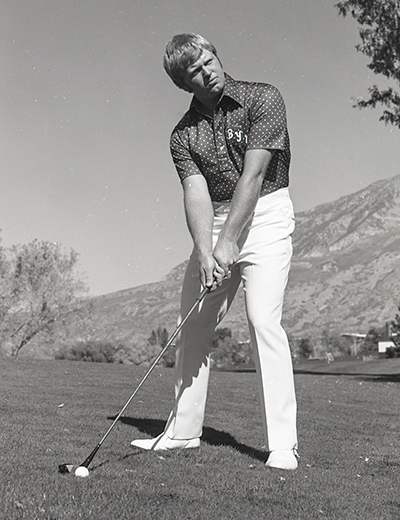 Dills was born Joey Dobson in Enid, site of another great Perry Maxwell course in Oakwood CC. His mother, Oklahoma Golf Hall of Fame inductee Dena Dills Nowotny, took him to learn the game at a nine-hole Phillips University course, and his first headline came when he made a hole-in-one at age 6 at Meadowlake Golf Course. His father, Joe Dobson, was a highway patrolman later employed by Grondike Transport. He was killed when Joey was 9 in an auto accident when the son of a local politician ran a stop sign while Dobson was on his way to meet Joey and Dena at the golf course. 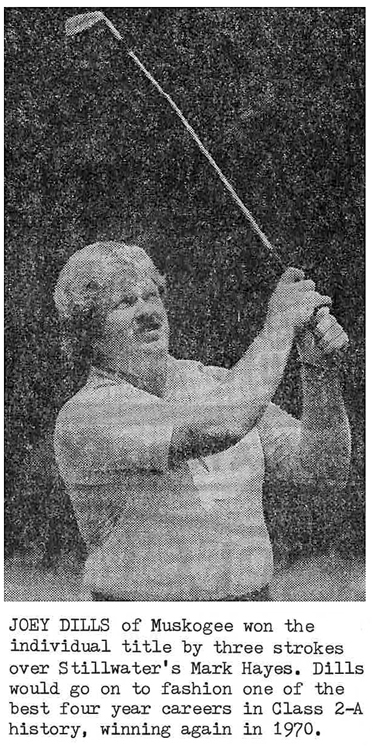 A year later, his mother married Muskogee businessman Bill Dills and Joey was on his way to Muskogee, where he became a junior legend not just in golf, but also as a baseball player. One year Dills won the Jay Meyers Memorial in Tulsa, but told Tulsa World golf writer Tom Lobaugh he didn’t have time to chat because he was due back in Muskogee for a Colt League game. He raced back, with Lobaugh trailing, in time to pitch a no-hitter and belt a grand slam in a 4-0 victory. His baseball career came to a halt when he was suspended because he had a golf conflict. Dills won the 1967 Class 2A state championship as a freshman, outdueling another state junior legend, Mark Hayes of Stillwater, by three shots. He finished fourth as a sophomore and second as a junior, leading Muskogee to the team title in both years. 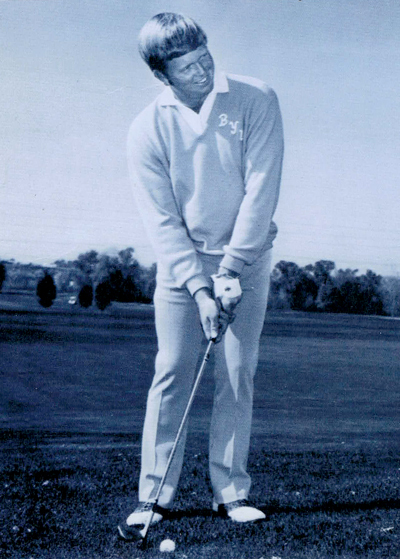 As a junior he played with borrowed clubs while finishing four shots behind Bob Stephenson of Norman because someone – and Dills says he knows who – broke into the team van and stole only his clubs the night before the tournament. Dills won his second individual title as a senior and with teammate Nick Fuller who placed fifth, led Muskogee to a record 36-stroke victory over Oklahoma City Northwest. Former Oklahoma State coach and state golf historian Mike McGraw said Dills ranks among the top-five juniors ever in Oklahoma with Hayes, Bob Dickson, Kevin Tway and Jeff McMillian. Tom Jones, the CEO of Oak Tree National, who was two years behind Dills in the junior ranks, said his legend was immense. Everyone expected him to go to OSU, and indeed Dills had a scholarship offer from Labron Harris Sr. The offer, however, was for a half-scholarship, as Harris knew Bill Dills could afford to pay the remainder of the tuition. Joey, however, knew that Mark Hayes had been given a full ride and expected the same. Another hard-headed moment. 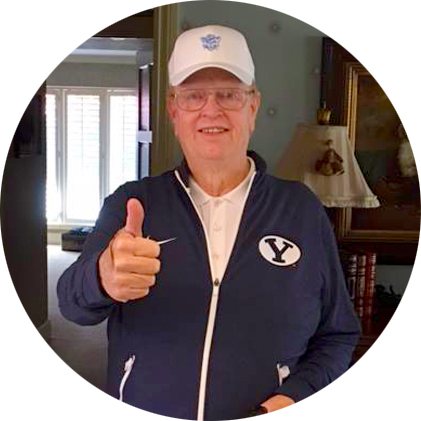 After his time at BYU from 1970-74, including winning the Western Athletic Conference Championship as a sophomore, Dills was ready to try the professional ranks. He was on the PGA Tour from 1975-77, winning the qualifying school in 1975 and placing as high as fifth in one event, but found it easier to run long and hard with his new friends than to make birdies and move up the money list. Dills and a few other young tour pros, frustrated at trying to break into the closed ranks at the top of the PGA Tour hierarchy, decided they would at least enjoy the ride. Dills does cherish some memories from his professional career, getting to know Nicklaus and Arnold Palmer among them. He and Bob Murphy played a practice round with Palmer and Bob Shaw and Dills birdied holes 1, 2, 8 and 9. A year later he saw Palmer at an airport and Palmer recognized him and called out like they were best friends. Joey Dills celebrating his sixty-fifth birthday at Southern Hills Country Club in 2016 with some of his Brigham Young teammates. 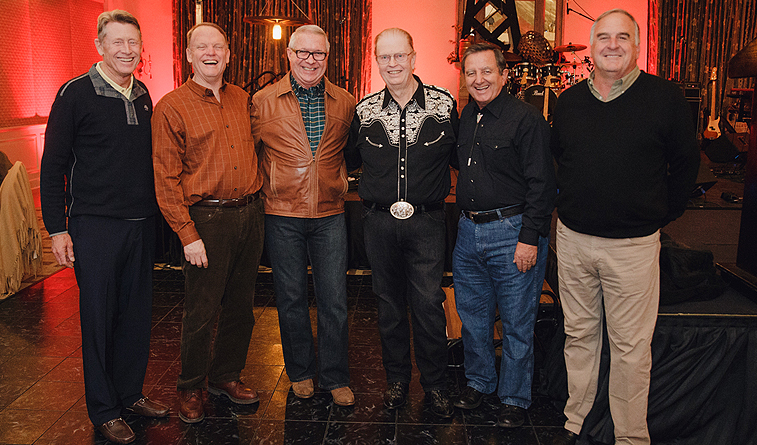 Left to right; Mike Reid, Dave Shipley, Robert Harris, Joey Dills, Randy Teshara and Jay Matulich. Joey Dills at Brigham Young, circa 1973. Dills got married early in his professional career and had a son, Joey Jr., who was disabled with cerebral palsy. Caring for him and the stress of a crumbling marriage along with the drinking ended his professional playing days. 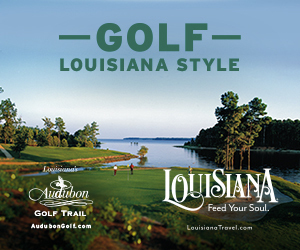 Dills later regained his amateur status and won the 1983 Oklahoma Golf Association Stroke Play Championship. His mother, a runner-up five times in the Women’s Oklahoma Golf Association State Amateur Championship, and Sheila, a four-time champion (1989, ‘94-96), were friends, with Dena serving as a mentor to Sheila. Joey was introduced to Sheila during a round of golf and the two became friends long before they dated. Looking back, Dills said his best golf was played around the ages of 29-31, after he had matured mentally but already squandered the pro career. He remembers a round at Riverside Country Club that he kept the woods in the bag, teed off with a 1-iron and opened with eight consecutive 3s. He shot a 28 on the front nine at Southern Hills and a score of 64 or 65 was not unusual. Yet with his son to care for and other responsibilities, there was no room for a second run at the pro ranks. Among his trove of golf memories, Dills cherishes rounds at Augusta National, St. Andrews and Royal County Down in Ireland — three of his favorites. “Golf has been good to me and life’s been good to me,” Dills said. “I wish that I had done a few things differently. With the cancer, you’ve got to have faith and just have to say, `I’m not going to succumb today.’ You try to stay positive and hope you’ve helped someone else with the same issues. I’ve been very lucky and had some great doctors. They encourage me to keep my chin up and keep fighting.